Online Author's Office- Get PUBLISHED- A service for aspiring authors- click here for details. The Cappuccino Chronicles Trilogy: Available Now, and at all major branches of Asia Books in Bangkok, Bookazine (Hong Kong), Amazon and Barnes and Noble; stay tuned! Interview with Keith Nolan - Destination Thailand - Capital TV - "Beyond The Lines"
International Bestselling Novel, The Cappuccino Chronicles Trilogy, is now available on amazon.com and major branches of Asia Books (Thailand)! The third and final book in trilogy is a beautiful story of friendship, determination and perseverance in the face of adversity and hardships. The way that Pashmina weaves all the stories of the women together is incredibly powerful and moving. Pashmina continues to write beautifully, using vivid imagery sad robust descriptions that make the characters and situations easy to relate to even though most of us have never had to experience such hardships. Pashmina teaches lessons of compassion, perseverance and courage. Highly recommended"
“Endless Espressos,”the final sequel in 'The Cappuccino Chronicles' trilogy, is the culmination of years of friendship, that four women from different walks of life have enjoyed. This story touches on many issues that women face such as aging, loyalty, relationships and learning about oneself in the process. As we get older we look back on our lives and this book is the denouement in the lives of these adventurous and feisty women. “Endless Espressos”is a poignant tale that reminds us of all the things in life that we have to be thankful for.” - Jules Hannaford, Author of “Fool Me Twice”and host of “Hong Kong Confidential” podcast. Rawlin Vanatta, Singer /Songwriter & International Best Selling author of "We Think in Secret." The Workshop Series: Readers' Theatre!  The Cappuccino Chronicles is proud host ongoing student workshops. Check out the Readers' Theatre! It's official: The Cappuccino Chronicles is an International Best Selling series! Both The Cappuccino Chronicles and its sequel, Mocha Madness, are available on Amazon.com and in select retail outlets including Asia Books (Thailand) and Bookazine (Hong Kong). Endless Espressos, the final instalment in the series, is here! ​​Read the gripping stories of Mala, Sharon, Noor, and all of the aunties from Bazica Café from Amazon worldwide. Following the global online launch in November 2017, the follow-up to the hugely successful trilogy, is sure to continue the emotionally charged stories of Mala, Noor, and the gang from Bazica. Book signings are scheduled for Bangkok, Hong Kong, and more throughout 2019; check out our events page for more information! ​Discover your inner writing passion with international bestseller Pashmina P. as she guides you through your writing, editing, and publishing journey. With several specially catered workshops available internationally, you too can become a bestselling author! Want to become a successful published author? Learn tips, tricks, and get feedback on your work as part of a personal writing mentorship with international bestselling author Pashmina P. As part of this mentorship, Pashmina will help you through the process of getting published, offering feedback and inspiration along the way. Want even more--the whole team of The Cappuccino Chronicles? Check out our ONLINE Author's Office!